The maid of honor is one of the unsung heroes of the wedding day. She is responsible for a lot of things before the wedding ceremony even up to the reception. As one of the closest female friend or a family member that the bride personally picked, the maid of honor has spent plenty of time and cash to make the wedding a successful one indeed. From planning the bridal shower to the bachelorette party, she has always been there. She even helped out and bolted her opinions as the bride tried several wedding dresses, scouted for the perfect caterers, searched for the best cake design and a lot more. She has always been at the side lights all throughout these tedious process. Thanking her for all the hard work, time and effort she has spent can be shown by gifting a special gift which is beyond the ordinary. Give her a timeless gift that she could cherish or give her something that she has hesitated to buy for herself. We are sure that you’ll appreciate the list we have prepared for you below. Feel free to check them out. The maid of honor has been a very good friend indeed. She is always at the bride’s side for whatever support she might need of her. A sentimental memorabilia that bears a photo of the bride with her, together with a wonderfully written poetry about friendship is a heartfelt keepsake forever. You may put a throwback picture on the left then your photo together at the wedding day and the poem at the middle. If you are neither a fan of poetry nor the maid of honor then you can remove the poem and replace it with a third photo. Almost everyone loves toast. You can eat it almost every day for breakfast, taken as plain or with butter or cheese. Pair it with bacon and eggs, sandwiched, smashed into a panini or jammed. Either way, a toast would be a huge hit for the toast lover friend. But this toast is a different kind of toast because it can let you jam into your favorite music and a lot more. Yes, you heard it correctly! These plush toast wireless speakers function as a wireless Bluetooth speaker, tablet holder and as a cuddle plush of toast all day. Most tablets including iPads fits this plush toast. It has rechargeable lithium batteries that means you can use it all day in any way you want. It also includes input cable for use of devices that are not Bluetooth capable. This adorable, cuddly and functional plush toast is a fun way to cheer up your tired and stressed maid of honor. With all the wedding preparations and time consuming dress rehearsals, the maid of honor needs to loosen up a bit once in a while. If your maid of honor loves to drink or just take a sip occasionally and is a big fan of pink then this is the right gift for her. 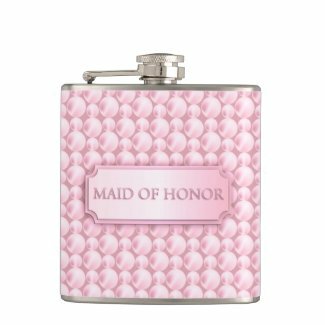 This pink maid of honor flask is very cute, handy and is adorably designed exclusively for your maid of honor. The flask is designed with a high quality vinyl that is wrapped around it. An ergonomically designed stainless steel flask with dimensions that would fit most pockets perfectly. 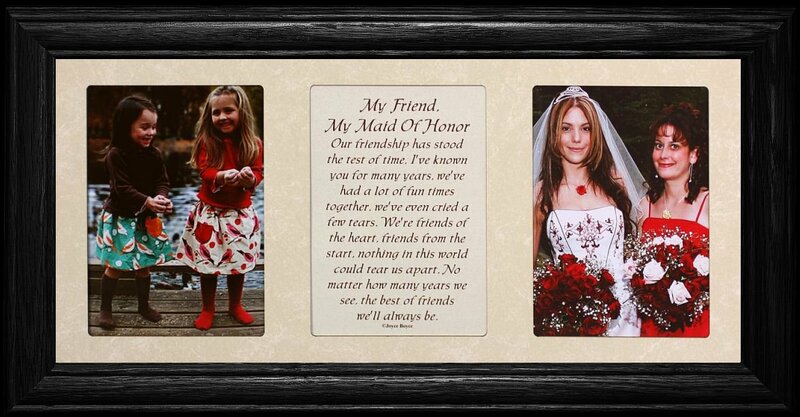 In addition, the design can be customized as you please to match the personality of your maid of honor. A beautiful keepsake for your loyal maid of honor that is as charming and as elegant as her. A practical yet fashionable gift is very much appreciated most of the time. 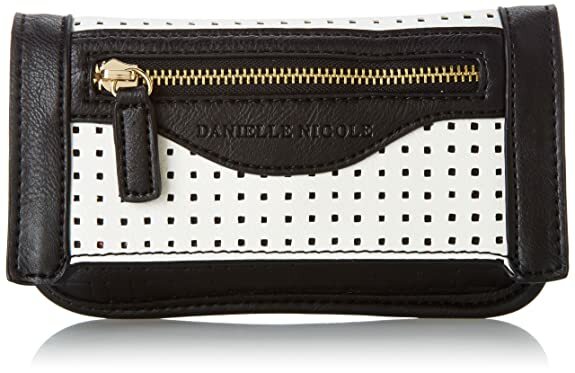 This cleverly designed crossbody wallet is inspired by Danielle DiFerdinando. This crossbody wallet is a great alternative for the usual handbag. The size is just right and would be a perfect statement accessory to any outfit. Your maid of honor would be glammed up and be trendy with this cross body wallet. This wallet comes in two colors to choose from that are salmon and white. It has a magnetic snap flap for the easy open and closure feature. Its crossbody strap runs for up to 22 inches. This would be a great accessory to any outfit your maid of honor would want to wear and a great highlight to her look on your wedding day too. A charming good friend deserves a charming gift as she is. This fine heart necklace from Jewelry Brothers is made up of sterling silver and gold plated materials. The necklace runs for up to 18 inches and weighs 4.55 grams. 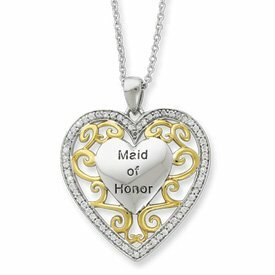 In addition, what makes this charming necklace special is that it has the words maid of honor engraved at the middle of the heart. Just like what it suggests, she would always be in your heart. This is indeed a fine piece of jewelry which is especially designed for your best girl who plays a special role in your wedding day. The heart necklace comes with a free gift box which makes this charming necklace a very presentable gift for your maid of honor. This heart necklace will be more special when worn on your special day. 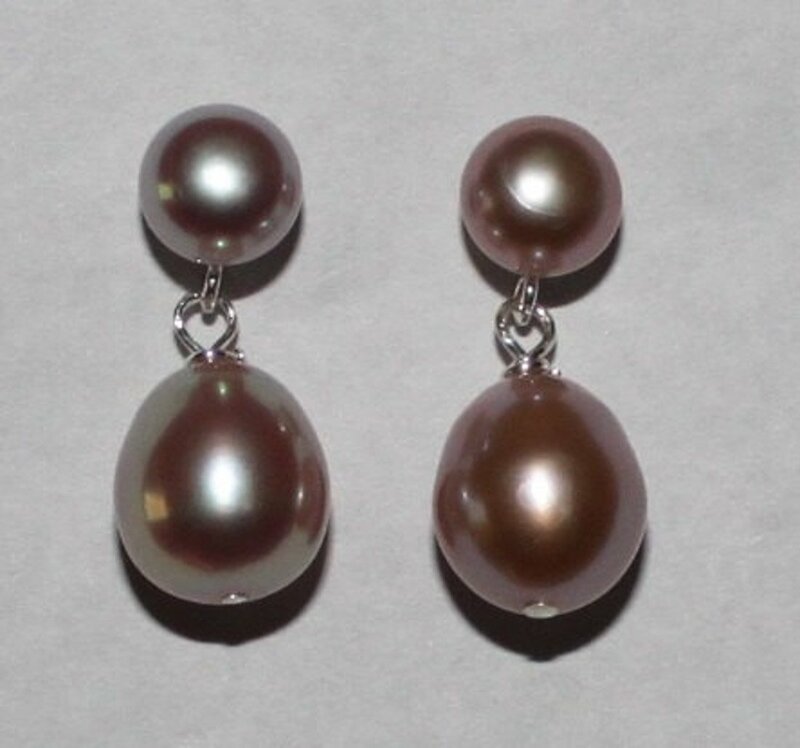 A perfect addition to your maid of honor’s look on your wedding day is what these pearl dangle earrings would be. The pearls measure 6mm on top and 8.5 x 10 mm at the bottom. It measures 0.85 to 1 inch in length. These alluring pearls can be worn by your maid of honor anytime of the day and anywhere she wants. It is suitable for all ages and can be a perfect accessory to any outfit. This would be a perfect gift for the charming maid of honor who has an eye for jewelries and fashion. These earrings would most certainly accentuate her ears and give her a dignified look especially on your big day. A scarf woven from a delicate fabric like cashmere makes the perfect gift for your maid of honor, especially if you’re planning a winter wedding. If you’re planning a summer wedding, this cashmere scarf would also suffice since its featherweight. Your gift will keep her warm and cozy aside from looking very fashionable and fierce as she heads to the ceremony or reception, and it will look much better in photos too. This gorgeous cashmere scarf provides effortless style all year round anytime and anywhere. There are several colors to choose from and it’s best to pick the color that complement her maid of honor’s dress, or make it a timeless wardrobe staple by giving her a neutral color she can wear with anything. To give a personal touch, you can her initials embroidered too. A nice deep tissue massage could be the ultimate answer in relieving the tension and stress caused by the wedding preparations and the constant bugging you have made to your faithful maid of honor. Treat her with an unparalleled deep tissue massage treatment and let her problem areas undergo overall toning to give her the rest and recuperation she deserved. Indulging your good friend with this rejuvenating massage would be a wonderful gift that would heal and transform her. You can choose from 30, 60 or 90 minutes. The spa has a relaxed and tranquil atmosphere that would enhance this relaxing experience for her. You can also book for yourself and go with her so you could bond and relax at the same time. You might need some girl bonding and catching ups and this would be a great experience for both of you. Your maid of honor is a true friend who stayed with you all throughout the preparations up to the wedding ceremony. She deserves more that a pat on the back or a thank you. Treat her with a special gift that you know she would love and appreciate to make your friendship deeper and more alive. It doesn’t need to have a set of certain price and even if you are in a tight budget, her gift should be included in your must do list because your maid of honor is one of the special contributors not only on your wedding day but also in your life.